Of course, the tax cuts in the 1960s were introduced by John F. Kennedy – a democrat. It was those high tax rates that drove American manufacture offshore to begin with. Americans are taxed on worldwide income. When I testified before the House Ways & Means Committee, the question they ask me why did no American firms get any contracts to build the Yellow River Dam in China? I explain that Germans did not pay worldwide income tax so when they big on such a project, they were already 40% less. Any German personnel that went there were also tax free. 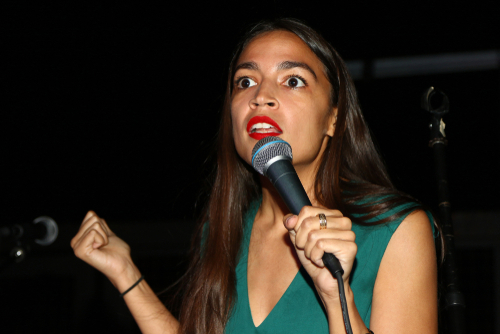 Ocasio-Cortez is clueless about taxes and economics. I have to state plainly. I am very much aware of the trend in Washington. It looks like our taxes are going to rise significantly!!!! As interest expenditures soar consuming a greater and great proportion of total spending, both parties will resort to rising taxes. I see Trump as the last hope in holding off that trend for the one thing he does understand in debt servicing. But I have also warned that our models show Trump is a reaction within a bear market trend in government. So I am not hopeful of the future to say the least. Personally, this means at some point I will have to make a decision. I shut down operations entirely and just walk the beach, or I will have to resign my citizenship and leave for Asia. I have not made that decision. I just have to realize I personally need Plan B and Plan C. Part of the Crash & Burn requires someone like Ocasio-Cortez to complete devastate Western Economies. 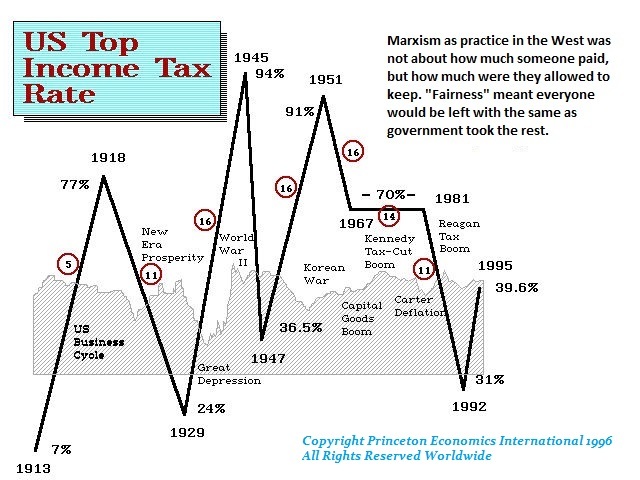 Once she raises that taxes in the USA to such levels, the rich will flee as took place in France and economic growth will collapse causing unemployment to rise and presto = civil unrest. The greatest flaw in American politics is that the tax rate is not stable. It reflects the brainwave of someone suffering from Schizophrenia. Nobody would sign a lease to an apartment where it allowed the landlord to rise the rent anytime if he determines he needs money. This is why companies left in the first place. Not because they paid a worker $5 instead of $10 an hour. It was to get guaranteed deals with respect to fixed taxation rates.